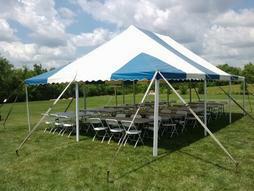 Ohio Tent Rental- We bring the party! Email, call or text us to get a quote! We now offer our clients the ability to text us! We recognize this is the easiest way for clients to contact us and it works great for us too as we're usually busy working. We still appreciate the ability to pick up the phone and talk to a real person so we will always welcome your phone call as well! Check out our wedding packages!!! Or let us customize a package for you! We service most of South Western Ohio, please contact us about your next event today!